In New Zealand: A Masters student in the Department of Physics at the University of Otago. In Antarctica: Field Assistant. For my Masters I am doing a research project investigating whether or not the reason for the increase in Antarctic sea ice is due to the melting of ice shelves using a climate model. In Antarctica I am helping out with field work on the sea ice and processing sea ice cores in the lab. I studied physics as an undergraduate at the University of Otago. As part of my honours year I did a research project also looking at sea ice in climate models, which has led into my Master's research. I have also done several summer research projects at the university which involved other sea ice related research. My favourite parts of my job so far are knowing that my research is contributing to our ability to predict what will happen to Antarctica and the climate in general in the future. A highlight has been the opportunity to go down to Antarctica and see what I am working on for myself. The least favourite part of my job is turning all the research work I have done into a thesis. Writing it all down in a way that makes sense takes a very long time. At the moment I am looking at how water that enters the ocean when ice shelves melt affects the formation of sea ice in front of the ice shelves. I have recently been doing some simulations to see if it matters what time of year this melting happens, since sea ice mainly forms in winter and spring, and no one really knows when ice shelves melt. Some of my research from last year showed that you need a very large amount of melting to make a difference to the sea ice, which no one had known before. This has been turned into a research paper, which will hopefully be published sometime soon, and will be the first I have written. Working with climate models means you need a supercomputer, as they take a long time and a very powerful computer to run. My simulations take about two weeks to finish, and during my research I only noticed a mistake right at the end of that time, meaning I had to start all over again. I have learned the hard way how important it is to check you're doing what you think you're doing before pressing "go." Bachelor of Science with First Class Honours in Physics. Outside work I play club cricket, and also play a guitar in my spare time. 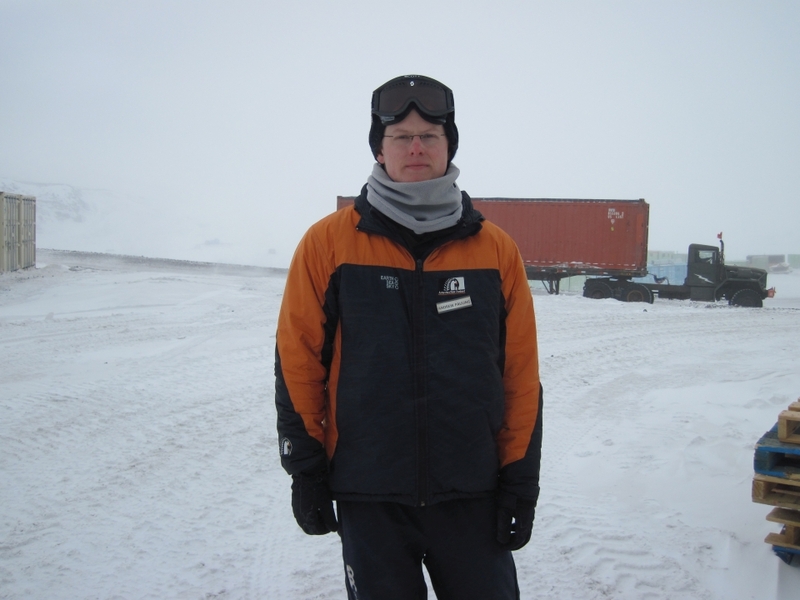 Andrew is a Physics Masters student at the University of Otago and is working as a field assistant in Antarctica. Image: LEARNZ.